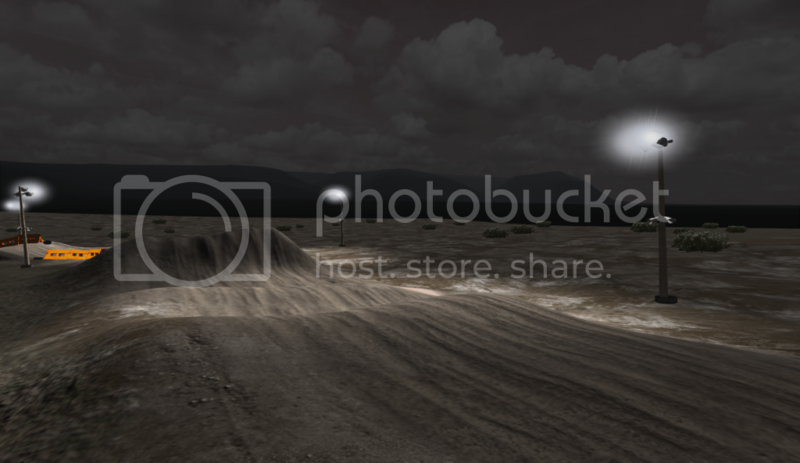 This is a Custom sand track I did, Theme is night time at the desert. Want to thanks for all the new content in the track comp tracks! Thanks to all beta testers. Twistmoto and motosport team! Looks like you did a great job like always. Thanks pulse. Always with them "!" man but great track. I haven't seen the track in game, but from the screenshots, I started to wonder something. In general (for every track maker), what happened to the idea of merging the edge of the map with the sky box using a model? Instead of feeling like you're on a square map in the middle of a universe, this could actually feel like it's in a desert, just by how the horizon and edge of the map look. I probably should have brought this up months ago in the tracks thread, but this is the first time I've felt like posting. Mona wrote: I haven't seen the track in game, but from the screenshots, I started to wonder something. In general (for every track maker), what happened to the idea of merging the edge of the map with the sky box using a model? Instead of feeling like you're on a square map in the middle of a universe, this could actually feel like it's in a desert, just by how the horizon and edge of the map look. 100% agree, the only person I know of that does this well is Jay. sick as always, nice track pulse! 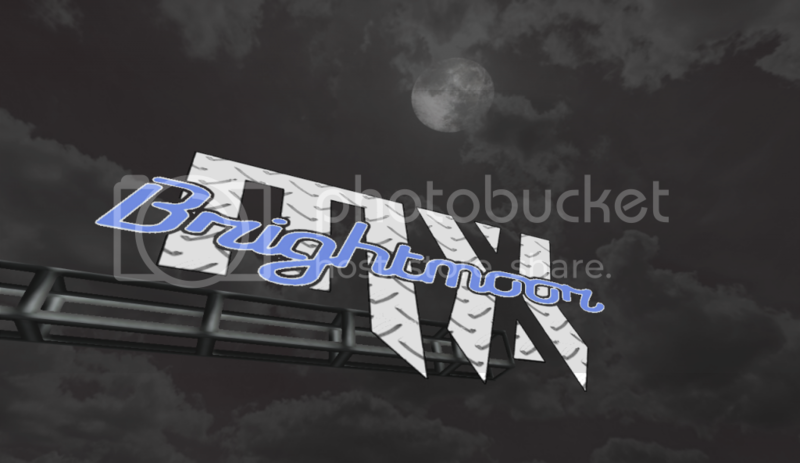 I should blacken the outer ridge of the night overlay image to blend the edge. 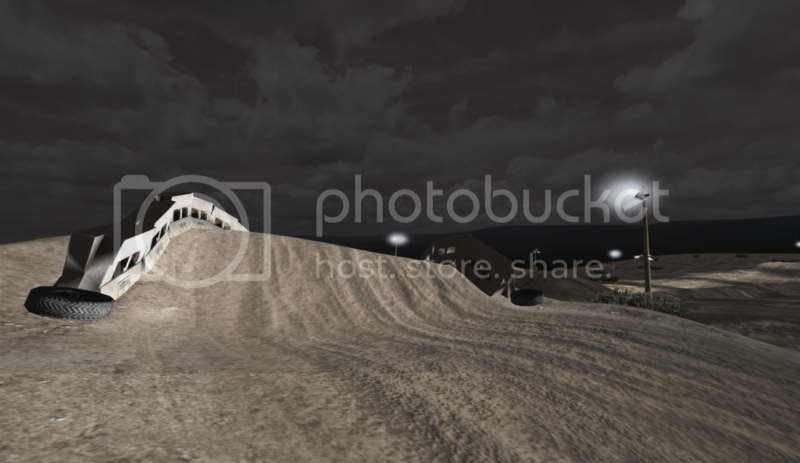 I Love you Mitch..<3 <3 <3...Making My Favorite Sand Track out... I might challenge you now PP and make my Own! best sand track ever well done man!